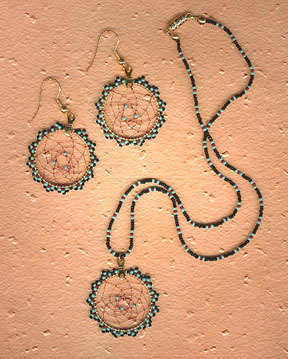 Elegant matching set of Dream Catcher earrings and necklace using mixed seed beads. Beads are in 3 colors: black, green, and garnet. Necklace is approximately 16" long and earrings are 1" in diameter.